Hello everyone. This square in my Navmesh appeared for seemingly no reason today and I can't find how to get rid of it. -Deleting then Adding back squares of the Landscape doesn't make the bug dissapear. -Deleting and creating a new NavmeshBoundsVolume doesn't change anything. -Sculpting in the square without navmesh doesn't trigger any navigation rebuild. 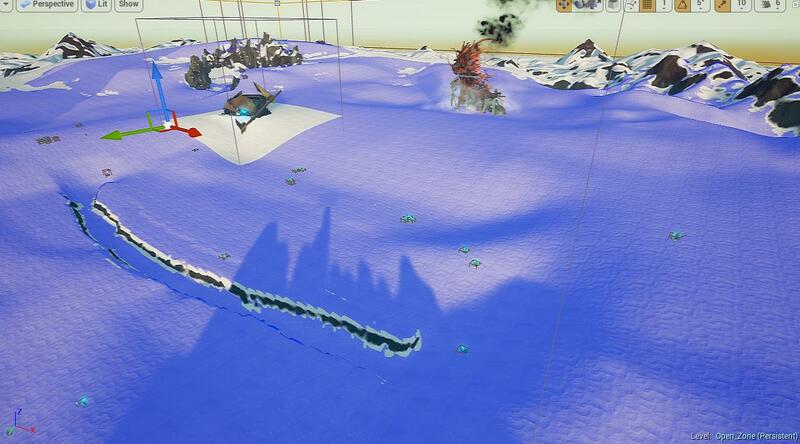 -Making a copy of the Landscape, moving it and trying to build a new Navmesh also creates the same problem. -Restarting UE4/PC as a last resort didn't work either. -Working with the NavmeshRecast parameters didn't change the problem. I'm now running out of options, I tried everything I could think of but nothing makes this damn square dissapear. If anyone has an idea as to what's going wrong with my Navmesh I'd be more than happy to hear it ! It pretty much removed the navmesh anywhere I used the smooth tool. Not long after this post I finally found a workaround but not what's causing the problem. -Create a new landscape with the heightmap and the same size parameters as the previous Landscape. And this worked. 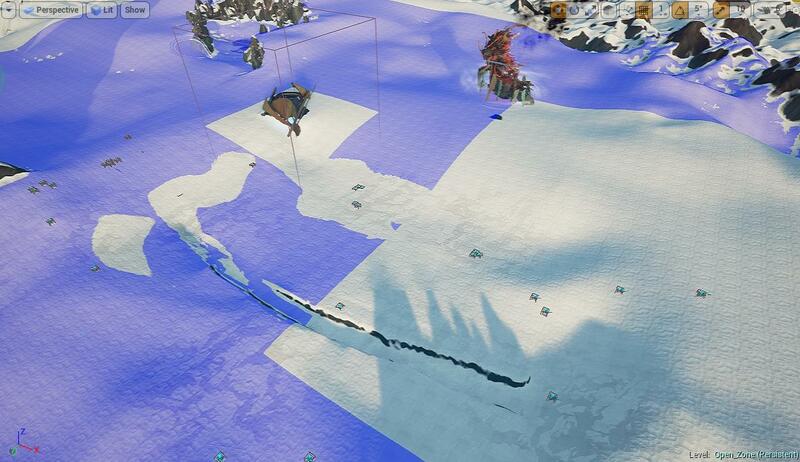 In the end this is probably a bug, maybe the Landscape itself contained corrupted data ? I'm moving this post to the Bug Report section. After some investigation, I came across a similar issue that was marked as resolved in 4.16, but I'm not sure how related it is, as the description was fairly vague. Unfortunately, this issue cannot be made public due to it containing sensitive information. I'd recommend upgrading a copy of the project to 4.16 Preview 1 just for testing purposes to see if it resolves the original issue if possible. Otherwise, in order to investigate I'd need a way to reproduce the issue in a clean project on my end. Could you give this a shot in a clean project, and provide a detailed list of repro steps or a test project that showcases the issue so I can determine if I need to get a ticket in for this?